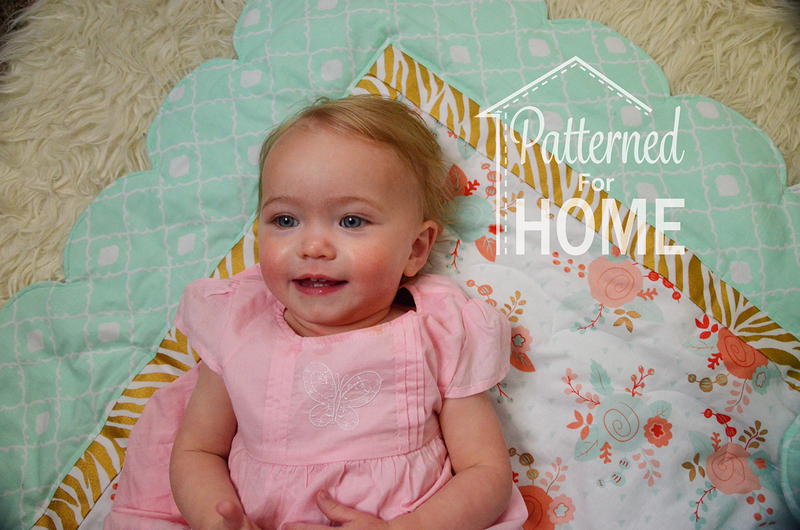 Patterned for Home just released the first pattern in their new nursery line! First up was the Scalloped crib Quilt. 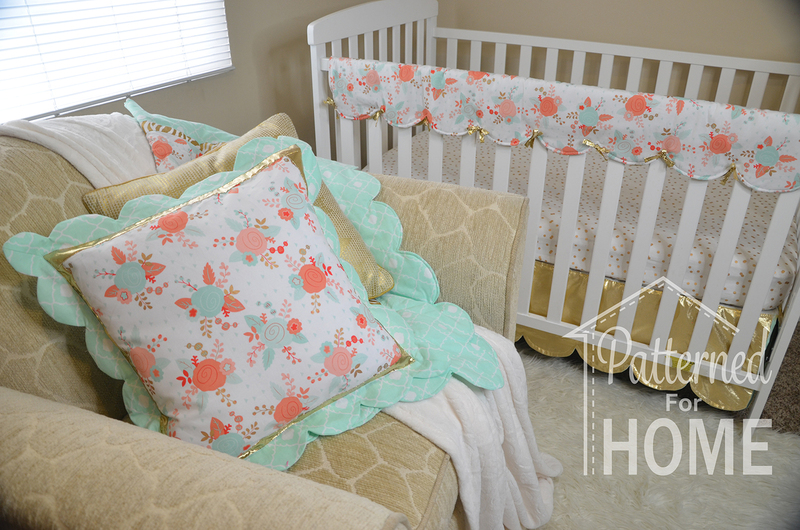 This adorable blanket with a scalloped edge is the perfect size for baby! I can’t wait to make a few for upcoming baby shower gifts! Now, this is not your typical quilt or PDF pattern. The written directions are simple and will be great for referencing once you have made this once or twice, but the main bulk of the directions are in a You tube video! Jeni walks you through sewing the blanket, with text, while she sews a blanket so you can truly see what is going on. This is extremely helpful if you are a visual person. The video is only 10 minutes long, but includes every step along the way. You can see the video HERE before you purchase the pattern! Just look how cute these blankets turned out! I am looking forward to the next pieces coming out! The pillow has to be my favorite so far! I just love the look of it! scalloped teething guard (one of the most charming features) and a crib sheet (already available). The other patterns will be released individually as they become ready and will be bundled when all are available. 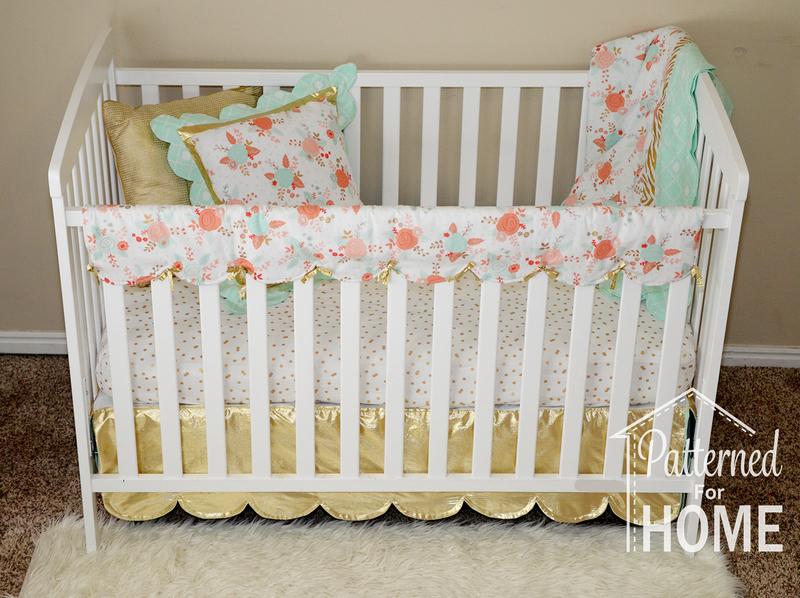 I also love that she opted to do a teething guard rather than a bumper for the crib! Be sure to share your ideas here and on social media! 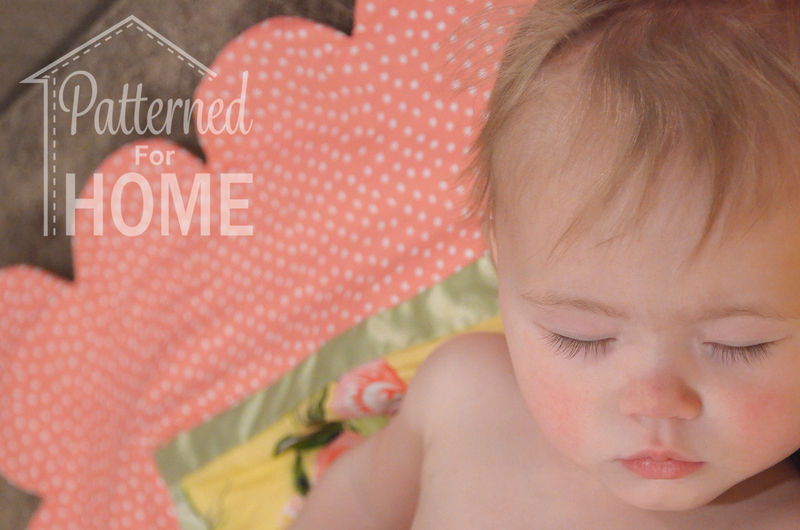 Use the hashtag #patterned4home to make it searchable! Be sure to subscribe to the PFH YouTube Channel for updates!